“Towards the beginning of the new-year I started doing some serious research online to find a doctor who would be able to help rid me of rosacea. “BAXT Cosmedical®” popped up frequently enough in all my searches. Intrigued, I to look a closer look. 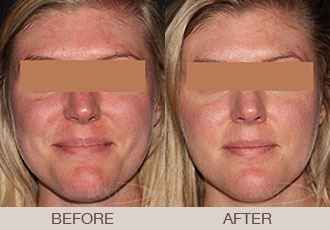 I read an interesting article regarding rosacea which featured Doctors Saida & Rebecca Baxt and decided to make an appointment – – and I am so thrilled that I did! 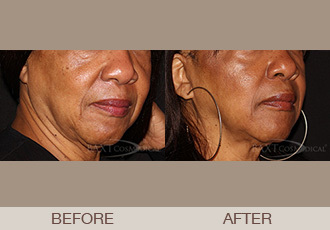 What an incredible difference visiting BAXT Cosmedical® has made for me in such a short amount of time. When I met initially with Dr. Rebecca Baxt, it was highly recommended that I get a complete body check, which I thought was a great idea, especially since I’m a very fair skinned person. She found a spot (took pictures) of something to watch and explained why! 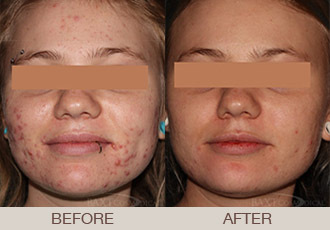 Then we talked about rosacea and what type of treatment(s) I had been prescribed prior to my visit with her. Long story short, she prescribed an antibiotic and a lotion, as well as daily applications of sunscreen. After our initial visit, she recommended that I make a follow-up appointment (about a month) to see how things were progressing and to discuss what options would be available down the road. Four weeks went by and my rosacea has improved! When I say improved, I mean the improvement was quite noticeable and to be honest, I’m so excited! The below testimonials were randomly selected from a survey completed by our patients between May 29, 2014 and January 29, 2015 about their experience with us.